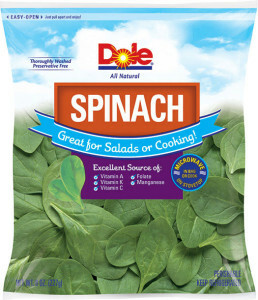 Tag Archive | "Baby Spinach"
Dole Fresh Vegetables is voluntarily recalling a limited number of cases of bagged salad. 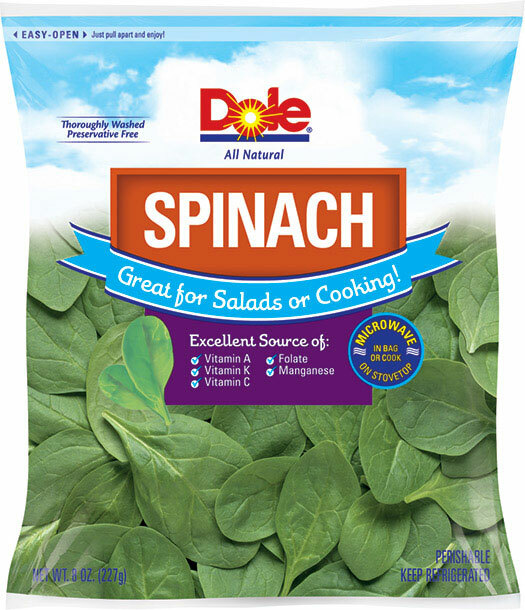 The product being recalled is Dole Spinach coded A27409B & A27409A, with an Enjoy By date of October 15 and UPC 7143000976 due to a possible health risk from Salmonella. Dole Fresh Vegetables is coordinating closely with regulatory officials. No illnesses have been reported in association with the recall. Salmonella is an organism that can cause foodborne illness in a person who eats a food item contaminated with it. Symptoms of infection may include fever and gastrointestinal symptoms such as nausea, diarrhea, vomiting or abnormal pain. The illness primarily impacts young children, frail and elderly people and those with weakened immune systems. Most healthy adults and children rarely become seriously ill.